Smith & Wesson H.R.T. Tanto Point Fixed Blade Knife With Sheath | BUDK.com - Knives & Swords At The Lowest Prices! The H.R.T. 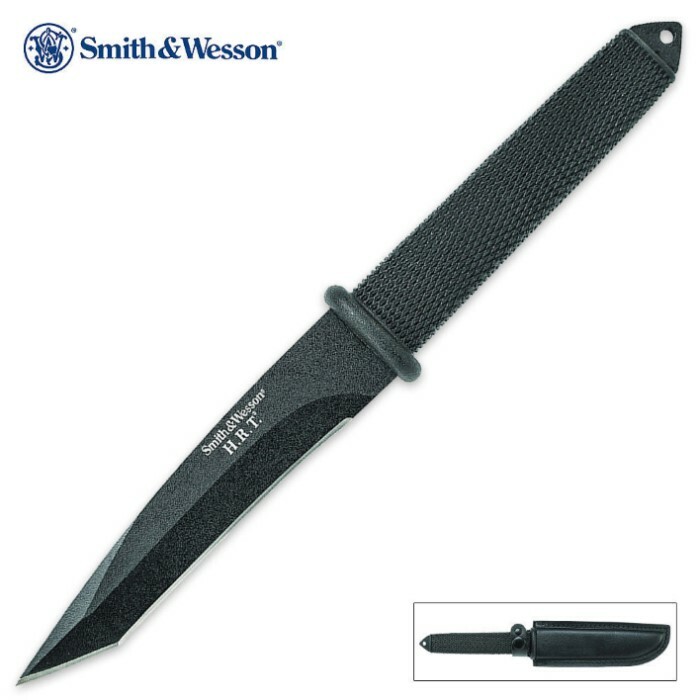 tanto knife from Smith & Wesson brings you a quality fixed-blade knife that is useful for a wealth of applications. The 5.7" blade is crafted of 7Cr17MoV high carbon stainless steel with a heat-treated black finish for a non-reflective appearance. The sharp blade culminates in a piercing tanto point for deep penetration. The checkered diamond cut TPE handle provides a rugged, slip-free grip with a hand guard and pre-drilled lanyard hole. 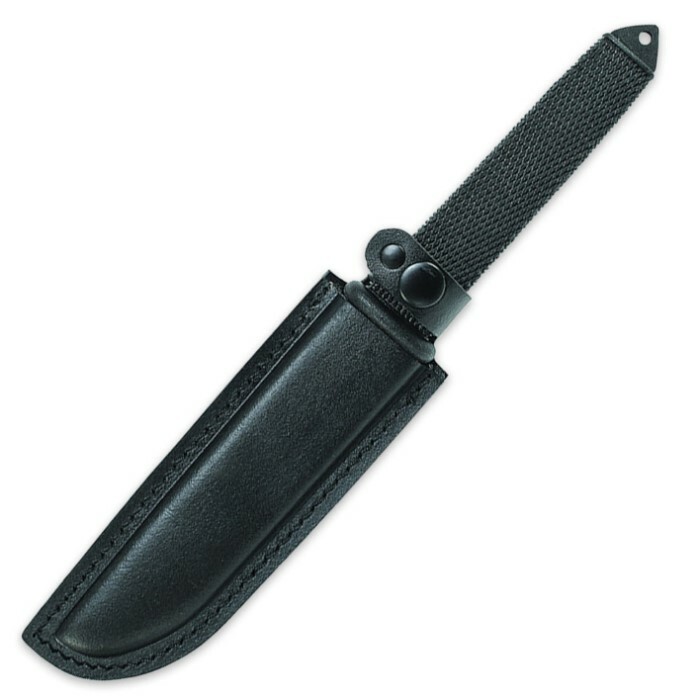 A leather blade sheath is included.